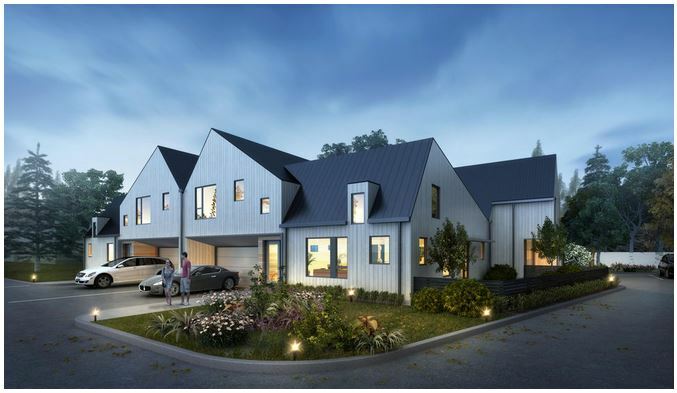 BEACHWOOD, Ohio — Known for their communities of modern, eco-friendly townhomes on the west side, Brickhaus Partners is ready to lift the curtain on the developers’ first project on the east side. The development, known as Twenty Four Hundred, is located on the 2400 block of Richmond Road just south of Beachwood Mall. While most of the residences in the 12-unit, 4-building complex are sold, a handful remain on the market. Featuring three bedrooms and two and a half bathrooms in 2,400 square feet, asking prices range from $589,000-$599,000. Build-outs take between 4-5 months. The photos seen here are of the recently completed model home.